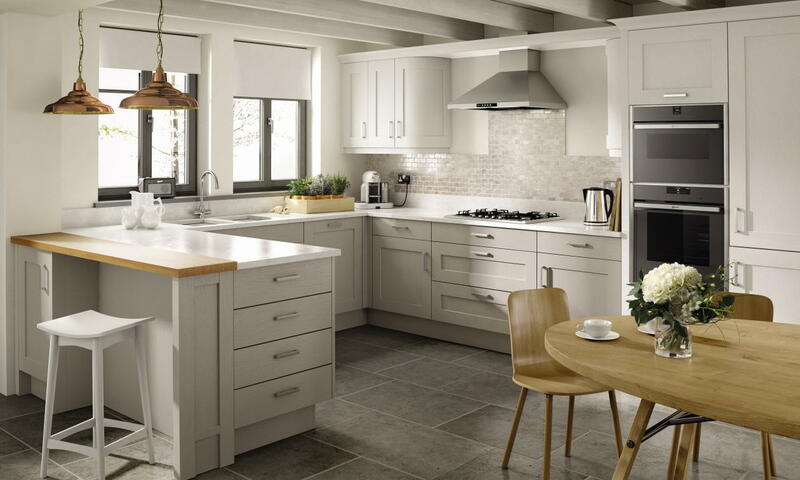 An ash grain texture adds interest to the painted finish of his classic shaker styled kitchen. The u-shaped layout is highly efficient and lends itself to a very practical workspace. 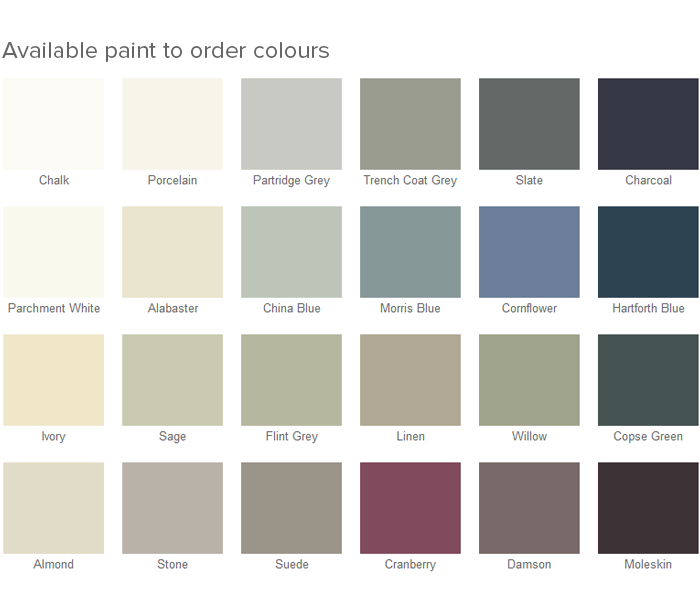 Available in 24 paint to order colours from our classic palette.